La Fhéile Bride, the feast of St Brigid, female patron saint of Ireland was celebrated with a special liturgy in St Michael’s church, Inchicore, on Friday, 1stFebruary. Many legends and traditions relating to Brigid were recalled and shared by the congregation, with special mention of her closeness to creation and her care and reverence for the earth. In keeping with Brigid’s legendary gift of hospitality, refreshments were shared and enjoyed following the ceremony. 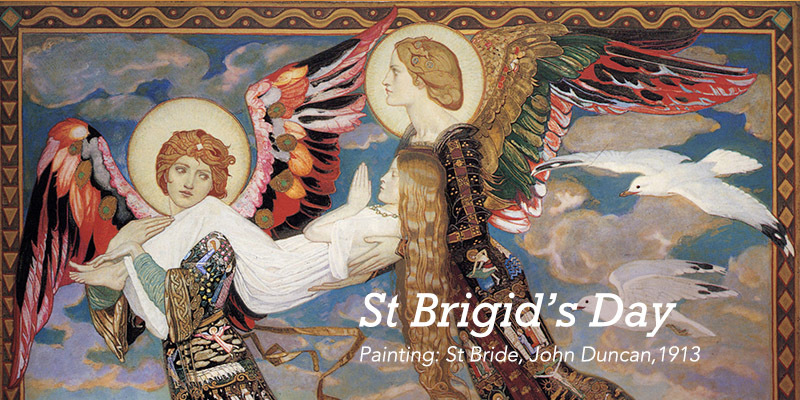 St Brigid, pray for us!